My grandfather had a passion for genealogy, and I believe most everyone in my family was affected by his zest for family heritage. He kept a diary for most of his life, something that most people can’t say they have done. I was always intrigued by family histories, particularly that of my maternal grandmother. Born in Egypt but of Russian heritage, she immigrated to the U.S when she was 18. I’ve always admired her independence, perhaps because, like me, she is an only child. During the holidays, my mother told me my grandmother would be visiting. She also hinted that my grandmother’s favorite cookies were Russian Tea Cakes. These treats also go by Mexican Wedding Cakes, so I’m not sure whether to attribute the recipe to one culture or another. However, the combination of butter, sugar, finely chopped nuts and some vanilla is ubiquitously delicious. I used good ol’ Betty Crocker’s recipe, which you can find here. My grandmother did not realize I had made her these cookies on Christmas Day until my aunt ran into the living room exclaiming how amazing these cookies were. I’ve never seen my grandmother leap out of her seat as quickly as she did, particularly considering that my grandmother claims she would prefer a piece of bread at the end of dinner, rather than a sweet. The way the cookie melts in your mouth is surely why so many people commented on these bites of goodness. 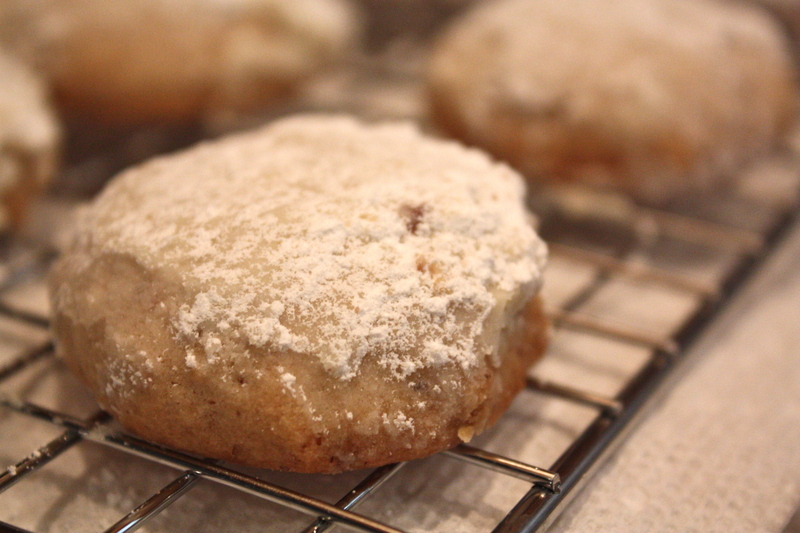 Not to mention, that messy powdered sugar that remains on your lips after taking the first bite is a cute look. 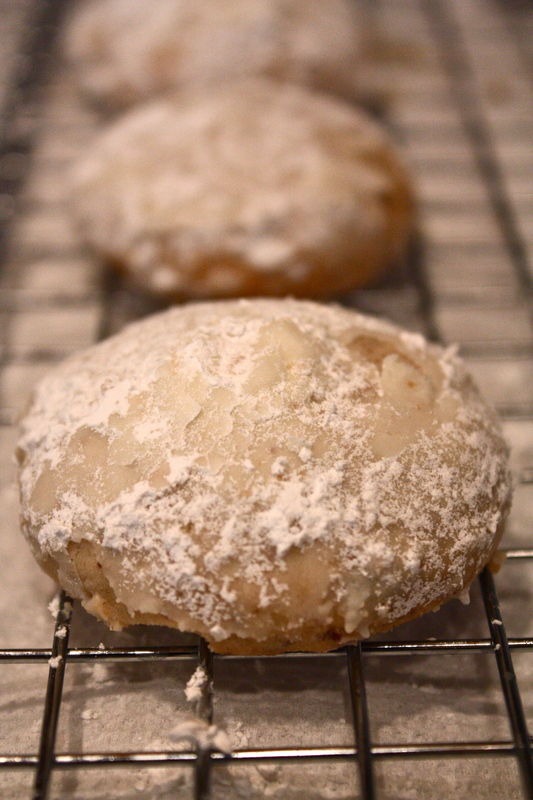 I just baked up one of my grandmother’s favorite recipes, too.